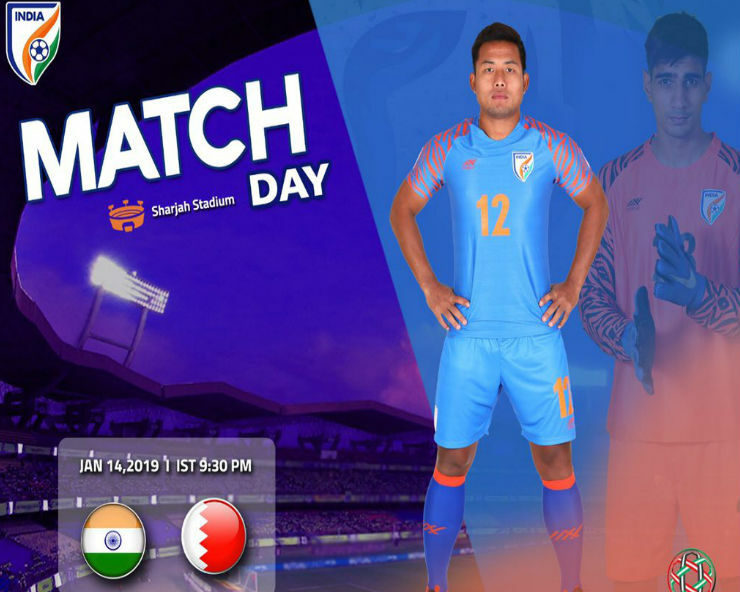 Sharjah: Indian football team under the leadership of Sunil Chhetri are all set to take on Bahrain in their final group match of the Asian Football Confederation (AFC) Asian Cup at Sharjah on Monday. India need a victory or draw to qualify for the knock-out stage for the first time. Chhetri is also set to equal his mentor and former captain Bhaichung Bhutia’s record of highest appearances for the country at 107 each. If India loses this match, then India have to hope to see United Arab Emirates (UAE) beat War Elephant (Thailand) in the other match that will be played simultaneously. So far, India and Bahrain have met seven times in international matches, in which Bahrain have won five games, while India secured only one win with one match ending in a draw. Last time, they met in 2011 in the same tournament, on January 14, 2011. India lost the match 5-2 and failed to qualify for the next round. So far, India have impressed everyone with their game. India might have lost to UAE 2-0 in their last match, but they played really well. In their opener, India thrashed Thailand 4-1. Currently, India are 97th ranked in the FIFA World Rankings, while Bahrain standing on 113th position in the rankings. If India qualifies, so, it will be their maiden knock-out appearance in the tournament. In 1964 in Israel, India finished as runners-up in the Asian Cup, but that edition was played on the basis of round-robin.